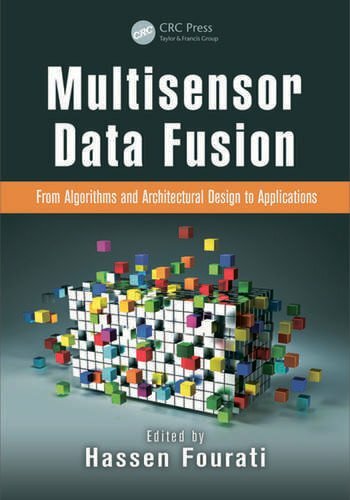 The hardware is composed by sensors, which collect data (flows, velocities, ...), and repeaters and access points that relay data to the servers located at the DIR-CE. The sensors, buried in the Grenoble south ring, are magnetic and wireless, with a lifespan of 10 years; self-calibrated, they can be remotely managed from a central console. 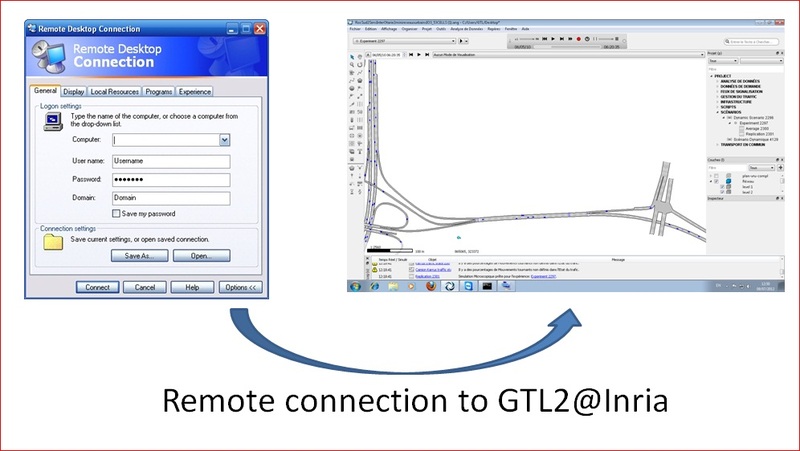 Their data are received by access points, whose range can be extended by repeaters. Access point are used to maintain two-way communications with sensors and battery-powered repeaters; using either wired and/or wireless connections, access points relay data to road-side controllers, remote servers, traffic management systems, or other vehicle detection applications. 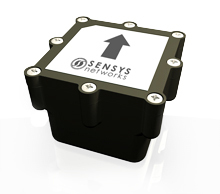 For more information, please visit Sensys Networks. 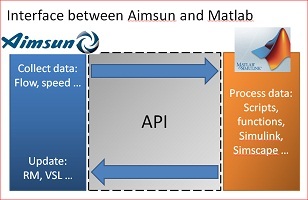 Two software are mainly used in the GTL development: Aimsun and Matlab. 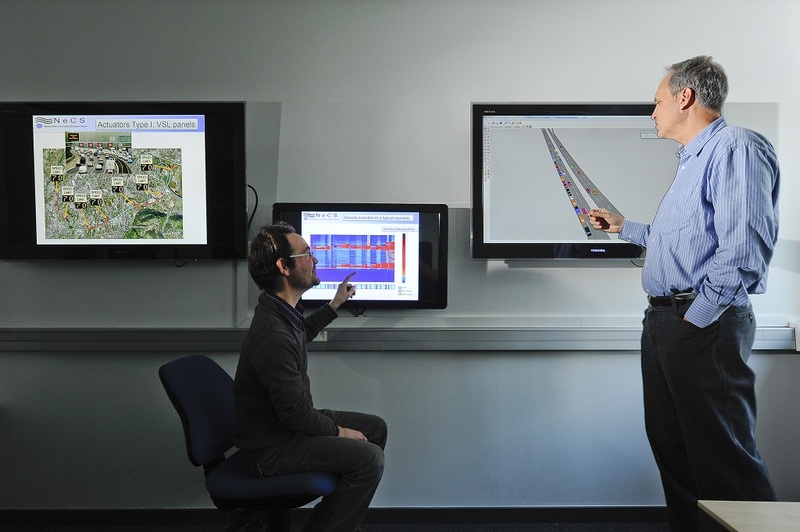 Aimsun is a micro-simulator developed by Transport Simulation Systems that allows the team to test traffic algorithms, in particular the effects of variable speed limits changes and ramp-metering management; the whole Grenoble south ring has been modeled. 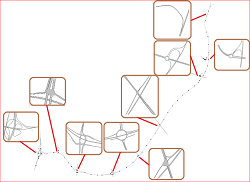 Currently, a whole day of traffic is available; data outputs and inputs have been measured to define a behavioral law of the vehicles. Real-time data will be provided and used in Aimsun once sensors are all installed. Matlab is a powerful mathematical software, widely used in the traffic community. 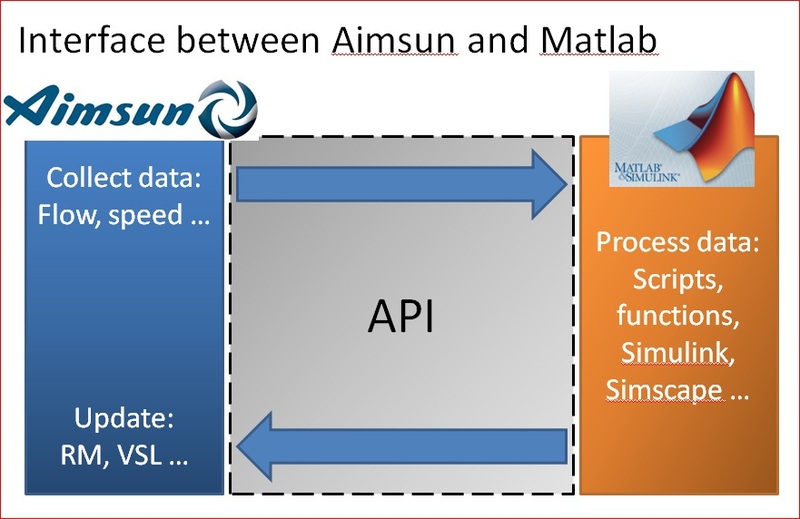 A computer is remotely accessible for people involved in the project; iIt is equipped with Aimsun and Matlab along with an API that we developed allowing these two software to communicate, then it is possible to test Matlab algorithms with Aimsun. 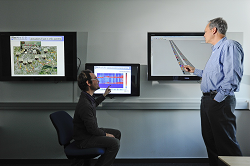 The computer will also have access to the data provided by sensors. The showroom is a room in which demonstrations can be executed for public; the screens allow to have different points of view of a specific situation.